As the days grow shorter and the mornings darker with the absence of the sun, it is the time of year to turn inward and create our own light. 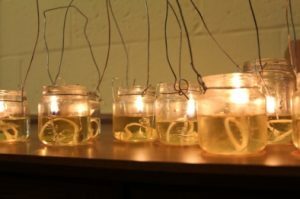 Pleasant Ridge Waldorf School celebrates the dark by bringing warmth and light to these cold and dark days of winter through a number of rich and reverent celebrations. 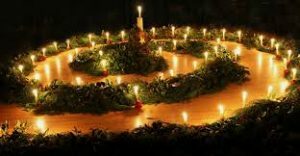 December 4th and 5th the children walked the Advent Spiral or Garden which is a world-wide Waldorf school tradition. It is a meditative labyrinth walk to set the mood of stillness, reverence and contemplation of this holiday season even amidst the hustle and bustle we can experience as we move about the world beyond our school walls. December 13th our Eighth Grade students, under the direction of Catherine Thalhammer and Julee Caspars-Agar, bring the Swedish celebration of Santa Lucia to our school. Lucia is the saint of vision, particularly inner vision. Her celebration comes at the time of winter solstice, honoring the change from increasing darkness to increasing daylight. Lucia represents hope and light in the time of darkness, and she brings warmth and sustenance in times of need. 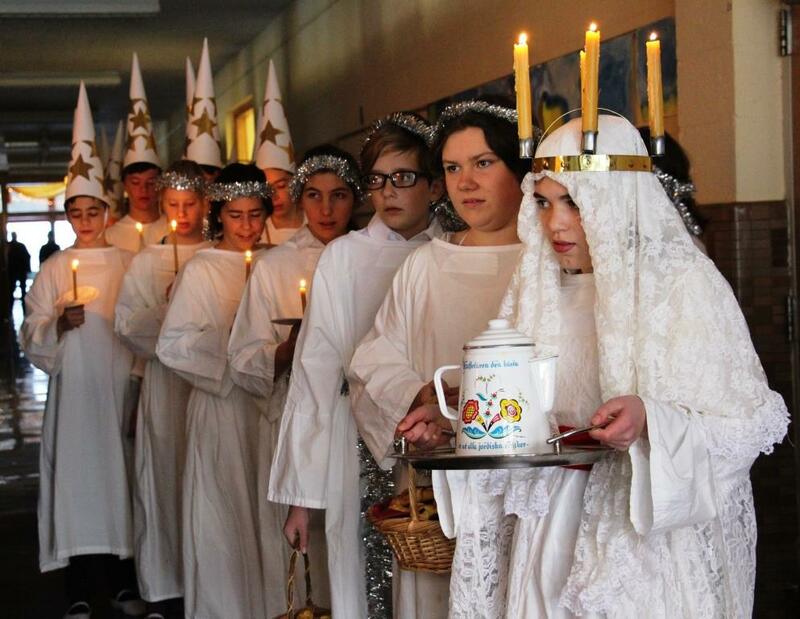 On the morning of Lucia Day, the 8th grade students, dressed all in white, will visit each classroom, bringing song and light. Their procession is led by Lucia, who wears a crown of light. If you would like to see what the St. Lucia procession is like, you can find us in the hallways on Wednesday morning between 8:30 a.m. and 10:00 a.m.
On Thursday, December 14th the community will be treated to a performance of The Shepherd’s Play in our school gym in the evening (afternoon performance for the students). This is a traditional “Oberufer” Christmas story that has been played for decades at Waldorf Schools throughout the world. It is a gift we offer to our students, families and community. 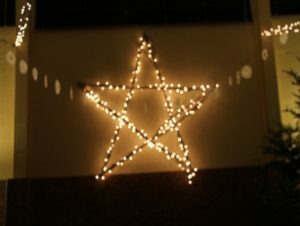 The Festival of Light will be held at 10:45 a.m. on Friday, December 15th and is a reverent and celebratory festival with all the students as we cultivate peace in our hearts before heading into our winter break.